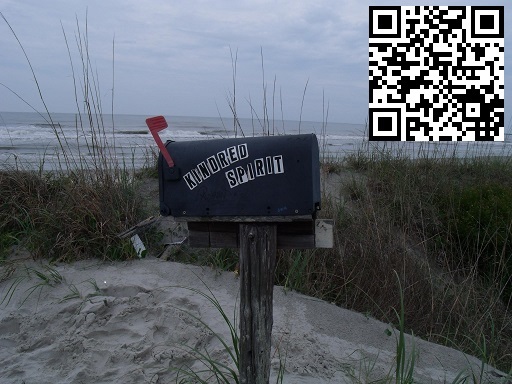 Welcome to the Wanderer, a site about ghost towns, abandoned places, places with little known or forgotten history, roadside curiosities, and the occasional tourist trap. We deal primarily with southern New Jersey and the Pine Barrens, but we are now based in the Poconos and learning our way around Pennsylvania. Over the past few years, we’ve been slowly expanding and covering more area, going as far north as New England and as far west as Indiana. Feel free to browse the 200+ places I’ve visited and photographed. 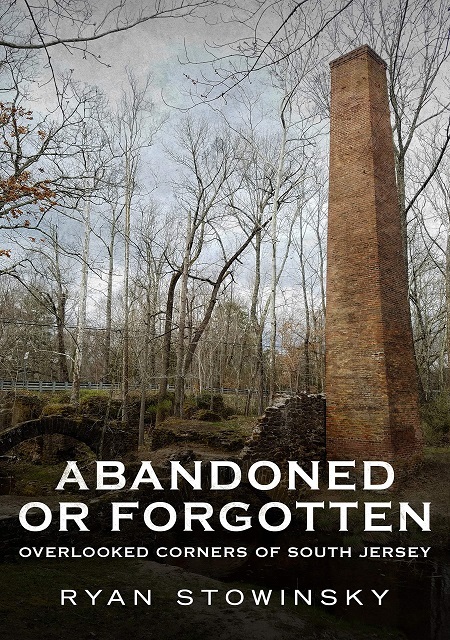 My second book, Abandoned or Forgotten – Overlooked Corners of South Jersey, is now available. 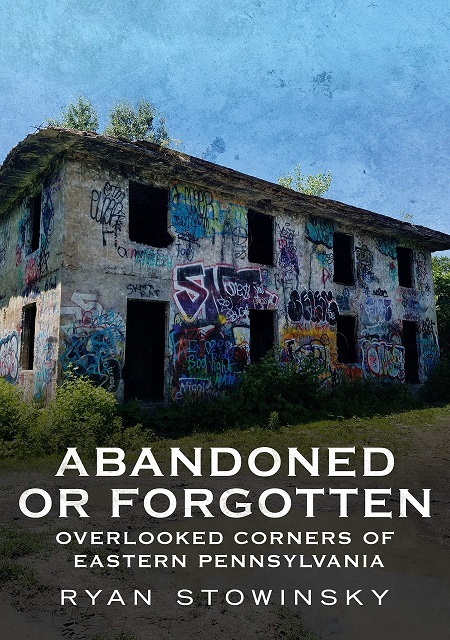 My third book, Abandoned or Forgotten – Overlooked Corners of Eastern Pennsylvania, will be available January 28. South Jersey largely serves as a 2.0 to my original book (now over 11 years old) with updated text, some new places, and 200+ color photographs. I spent my entire spring break revisiting and reshooting several sites in the Pine Barrens and along the shore. It was an awesome trip down Memory Lane, as some of these sites I hadn’t seen in over a decade. I then spent the beginning of my summer break revisiting as many sites as I could for the Eastern PA book. I had fun putting these together, and I hope you enjoy them. It has also been apparent that over the past few years the site’s email has not been working properly; many emails never came through, I was unable to reply, it became ridiculously spam heavy, etc., etc… so if you wrote and I never replied, chances are excellent I never got it or it was mass deleted! Sorry! The new email address is WandererStu@gmail.com. We are looking into updating the site. It’s been a while, and I want to do something new with the layout. Maybe I’ll even update the pages I started last year. Hi. How is everyone doing? This is just a post to let everyone know this still has a pulse; it’s just been crazy busy. Lots has happened since the last update. I am currently working on 2 new books! I was contacted by Fonthill Media at the start of the year, and I’ve been working on the books pretty much since then, even using my spring break and much of my summer vacation to revisit and reshoot sites in both NJ & PA. One will be about historic sites in southern NJ and is somewhat like a 2.0 of my first book. An eastern PA book is also 99% finished. So there’s that. These will have roughly 200 photos each, a far cry from my original book. Our 2nd daughter was born this past February, so it’s been quite busy on the family front. Regarding the site and updates…I’ve actually been working on an update off & on for a few months now, but with teaching, changing to a new school, working on the books, and parenting, it’s very much on the back burner at the moment. Not to mention I’ve seriously considered revamping the site for the past 2 years or so, and that will be quite an undertaking, something I simply don’t have time for right now. I’d like to point out that if you want to use any photos, text, or video of mine, please contact me first. 99% of the time I’m going to be OK with it. I recently found a YouTube video that blatantly stole my pics with the watermark cut out and theirs slapped over the pics. Not cool. Give credit where it’s due. Thanks. Wow. New stuff. Well, new for you, old for me. We have something from Pennsylvania and something from North Carolina this time. Since the first day of this year, I’ve been doing somewhat of a project on Instagram. Feel free to follow disgruntled_piney as I take one unique photo every day of the year. I also have a 3rd new social Munzee for my Munzee people. “Still around. Still wandering. I know it’s been nearly a year since the last update. Have a few updates in the works. Living in a new state, creating a World History curriculum, and being in a public school system for the first time has literally taken up all my time. No, the site’s not abandoned. On the contrary, I’ve been considering all sorts of changes and improvements, even have a new URL in the works. Until next time, which I promise won’t take 11 months. Howdy, folks. I know I said updates would be more frequent again, but things have gotten a tad crazy around here. When I started this page over 14 years ago (wow, I can’t believe I just typed that), I was only out of high school for a year and living just outside the Pine Barrens in New Jersey. 8 years ago, my wife and I moved to the Poconos in Pennsylvania. Now, with a daughter in tow, we are uprooting once again. In less than 3 weeks, we will be living in North Carolina. I’m excited about all the new places we will visit and post eventually. There are some things in queue; once things settle down a bit I will start posting again. Thanks for the patience. There’s also plenty already posted, 14 years worth. Go take a look again; I’m sure you missed something. The impossible has happened – an update. 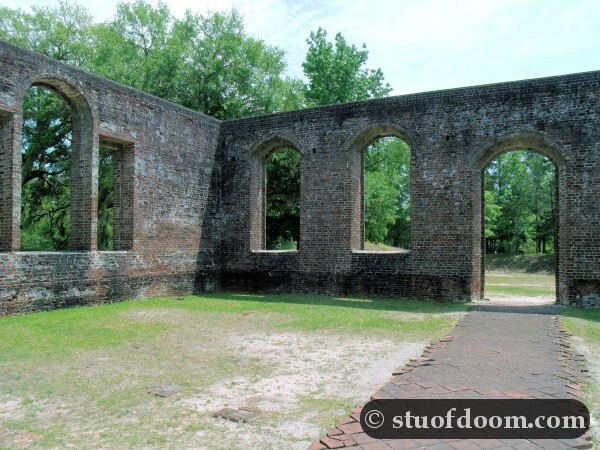 This time – a ghost town and Civil War fortress in North Carolina – Old Brunswick Town and Fort Anderson. If you are into Munzee, here’s my second social. The first can be found below. Yes, we’re still alive. Having a baby and life in general get in the way of these things. Update forthcoming. Last month I got into this game similar to geocaching, called Munzee. 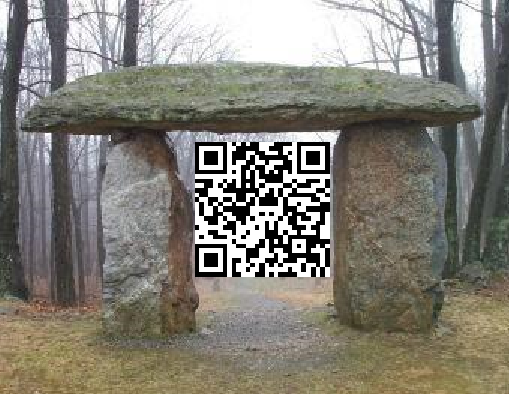 If you play and know what all the fuss is about, feel free to scan & share my Social Munzee. 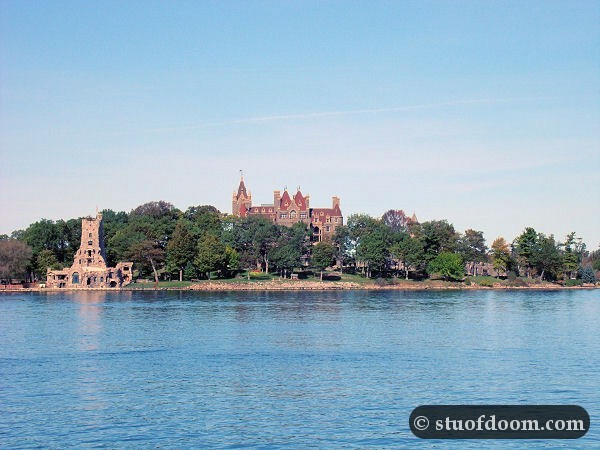 Small site update – Profile Rock in Catawissa, PA.
Now for some island hopping – The 1,000 Islands and Boldt Castle in Ontario/New York. Finally posting the Biodome in Montreal. Our daughter was born 11/3. All is well. Thanks for the kind words. Hey! New stuff! Not really, it’s from 2011. Back in October 2011, we took a long weekend trip to New York State and Quebec. So for now, I’m posting Fort Ticonderoga in New York and an interesting roadside stop at the top of Pennsylvania – a mock 50’s gas station. I’ll try to have the next update not take 3-4 months, but with our baby due in 9 weeks, I’m not promising anything. One day short of 4 months, here is an update. Last summer, I had a small adventure finding and roaming the ghost town of Lausanne. If you’re not on the site’s Facebook fan page, I mentioned a few weeks ago that the Travel Channel’s “Mysteries at the Museum” sent me a copy of an episode featuring one of my photos of the Sheppton mine disaster site. That’s about it. Figured I’d post this update before going on vacation. Here’s hoping the next update won’t take 4 months. Wow, an update. Back in November ’11 I went on a rock n’ roll tour of the East Village in NYC for pretty much the best college course ever – The History of Rock n’ Roll. Still alive. Still student teaching. 2 weeks to go. Just figured I’d pass along that the Travel Channel contacted me to ask if they could use one of my photos on their show “Mysteries at the Museum.” Will write more when I know more about it. Short and simple update – Mighty Joe, who can be found in Shamong NJ. Currently about 1/4 through student teaching, so updates will be up when I have free time, which, for the next 10 weeks, will be very rarely. Updates for the rest of the summer will likely be anywhere from sparse to non-existent. I had surgery done earlier this week and need some time to recover. This will hopefully allow me some time to commence some background projects I’ve been meaning to start, such as going through and editing older pages. Tourist traps, abandoned motels, and bomb craters! These are all from our NC/SC vacation last June. Finally, an update. Working on a museum exhibit and writing a 31 page thesis on Lizzie Borden took up much of the past 4 months. 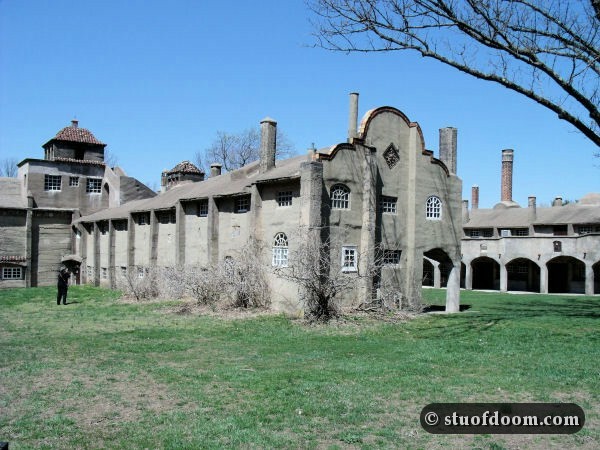 Anyway, this month we have a ghost town/abandoned military munitions town in Pennsylvania and a hermit’s bunker in North Carolina. Because this is the first summer I’ll have off in 3 years, updates should hopefully be somewhat frequent again … until student teaching kicks in this fall. Made a couple day trips back in May of random things in PA. This month we have another mine disaster site, a large pothole, and the apparent offspring of George Washington and the Great Sphinx. In case you missed it, because my timing is bad and I chose to update between Christmas and New Year’s last month, I also posted a few things from Niagara Falls. Hey! New stuff! Only took 5 1/2 months. Part 2 of our Niagara Falls trip from last year is now up. As of this update, we’re now international (barely). Have a few things from Quebec that will be posted sometime in the near future as well. On vacation for the week. Heading to the 1000 Islands and Quebec. Running behind on the Niagara Falls stuff. Just finished up a summer semester and immediately jumped into fall semester. 15 credits of history = nothing but reading for the next few months. Will update when possible. On a side note, I have been collaborating with Toms River Patch on a project that aims to find something significant in the town’s history from every day of the year. I believe so far we have 10/366 days done. Still wondering how February 29th is going to pan out. In addition to yesterday’s update, my newest Patch article was just posted. Did Al Capone hide out in the Royal Pines Hotel? Part 1 of our New York/Ontario trip back in October. 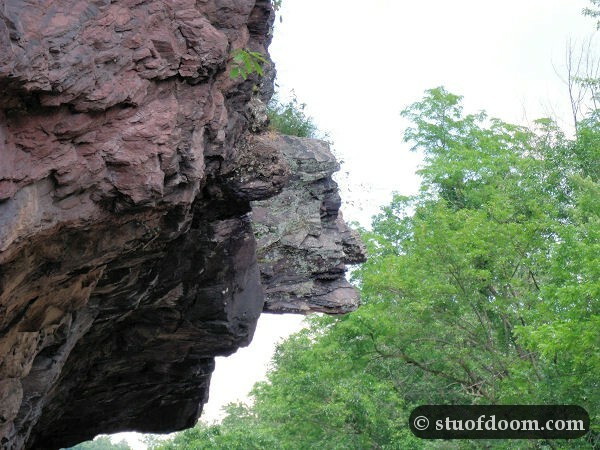 This month, we’ll be looking at the places we went to before heading to the Niagara Falls area – The World’s Smallest Church and Lockport Cave, both in New York. Oh yeah, at the bottom of each page, you can now Facebook like, Google +1, Tweet, or Stumble Upon. Hope I said that right. And here we are. Only 2 weeks late or so. Vacation will do that to you. Last summer, the Mrs. and I took a day trip to 2 places in southern PA I’d been meaning to get to for a while – Indian Echo Caverns and the Shoe House. Will have things from new areas in the forthcoming months, including the Carolinas and… Ontario? Hi, folks. Still on vacation. Just sharing the fact that my newest Patch article is up – The Mystery of Ten Mile Hollow. On vacation in NC & SC for 10 days or so. Update coming when we get back. Should hopefully have another Patch article out fairly soon as well. Final projects and exams are simultaneously bombarding me, so here is a quick little update – Hopewell Furnace in PA. Went there this past August but never got around to posting it. Next update will be more substantial. In addition, my latest Patch article, The Battle of Toms River, is also hot off the press. And once again, there is a Facebook fan page for the site. If you have a Facebook (and really, who doesn’t, my great-grand aunt has one), be sure to add it. Mentioned something about a news column in my last update. Today the first article went up. The column is on Patch, a nationwide news source. For now, I’ll be doing a few articles for Toms River but am hoping to write some for other parts of Ocean County and possibly even the rest of New Jersey as well. Unfortunately, Patch isn’t set up in northeastern PA yet, but when it is I’ll hopefully be contributing to that. First article can be found here. Wow, another update! I figured I’d post this before I become too involved with spring semester and forget to update for 4 months again. This month we’re going underground with both Crystal Cave and Lost River Caverns. I have somewhat of an online news column; I’ll mention more about that later. In the off chance an editor or publisher who deals with Pennsylvania happens to read this and is interested in the site content, please feel free to contact me regarding my next book. I’d like to avoid the tedious “sending out proposals and waiting to be rejected over and over” thing if possible. I doubt it. Over 4 months later, an update. Updated the Cape May WWII Watchtower page. The tower’s now open to the public. In PA, we have another mine disaster, Avondale. Stayed local for this update. Who is Beth Doe? 30 years later, nobody knows. And yet another abandoned building in Hazleton. Roadside silliness in Wilkes-Barre. Giant mugs and cows! With the semester over and vacation a week away, I figured I’d finally post a place I’ve been putting off for almost a year – Fort Mifflin in Philadelphia. I went there last August, I believe, but for whatever reason kept delaying posting it. Small and admittedly rushed update. Been fairly busy with the semester and working 2 jobs. Figured 2 1/2 months was long enough without anything new. Upcoming updates will be more involved. I have some good stuff lined up. I’ve noticed the Pennsylvania pages lately have been the most popular. Fret not, more PA stuff will be on the way. Spring semester is in full force, and I’m also in the process of attempting to get my (hopefully) upcoming book out to publishers, so updates might be slow for a bit. In the meantime, feel free to add the site’s Facebook fan page. Because lots of fans is a great measure of self-worth. This is Part 1 of our New England trip. This batch is all from Massachusetts; next time is Rhode Island. And here you are. An update. Really. Not as big as I had planned, but that just means there’ll be more for next month. Well, I was going to try and have an update for September done yesterday, but with midterms, observation hours, and other college goodness, it wasn’t meant to be. Plus I felt an update would have been rushed and half-assed, so I’m just going to hold off until I have more time and not try to stick to imaginary update schedules. This upcoming week we’re going on vacation, so perhaps after that I’ll have some new things posted. I’m also posting somewhat of a photo tour of the Seaside Heights boardwalk, pre-Memorial Day. 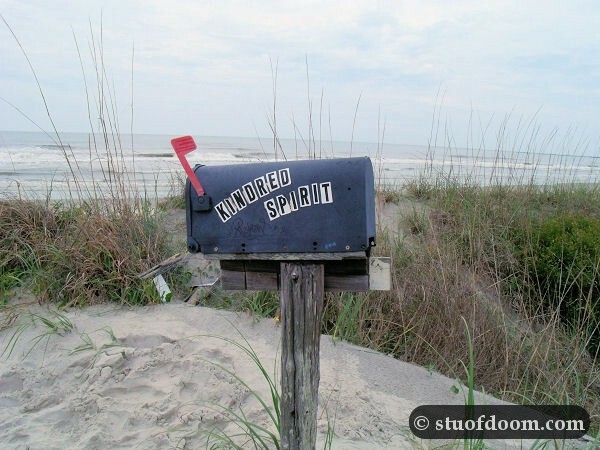 This was kind of a trip down Memory Lane for me as well as proof that one of the most popular Jersey Shore destinations is pretty dead for most of the year. Well, here is the site revamp. Took over a month and a half and we had to rebuild every page. Hope everyone likes it and sees it as an improvement; we sure do. So go browse, comment, explore. Will be posting a few new places later this month; I have quite a bit in queue.